My resolution to discover and learn to make the best dark chocolate mousse on the planet is taking on a life of its own. 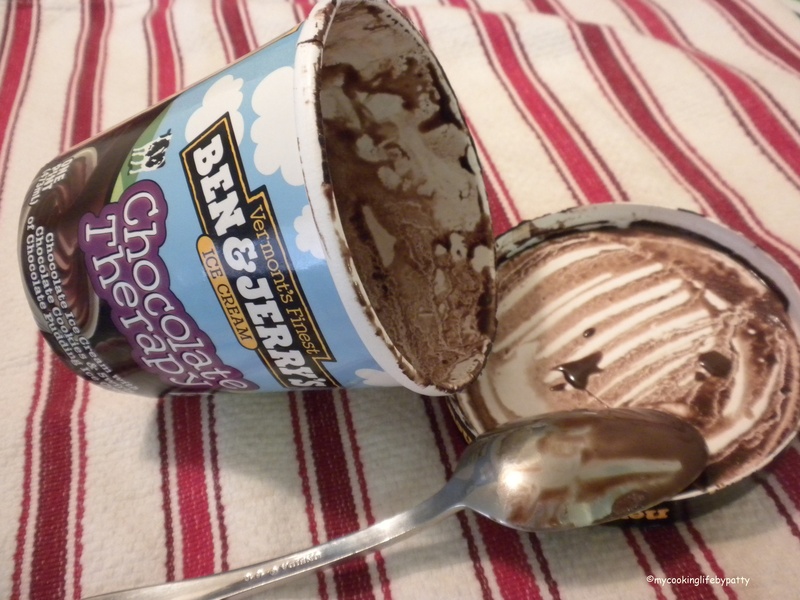 No offense to Ben & Jerry’s, but it is time for a chocolate upgrade at mycookinglife for 2013! First of all, there’s the pressure. I said I’d make one dark chocolate mousse a month and the first week of January is already slipping by. Before I could reach a decision my thoughts jumped ahead to some other issues–some of which were instigated by reading other blogs. I also read one of my favorite blogger’s excellent advice on the whole new-year-new-diet scene and how to effectively improve your health and lifestyle by making aware decisions about what you eat. (Yes, I recommend this post to you.) I had been thinking about the fact that in order to try a different dark chocolate mousse every month, I will inevitably use some recipes that call for a little sugar and some cream–both of which I usually don’t eat–and how do I justify that? Johnny Depp! How About You? You were in that Chocolate Factory movie, right? In fact, you were in Chocolat too. Sure, just come on over and we’ll mousse up a Dark Chocolate Storm! I need an expert like you, Johnny. Chinese New Year: Year of the Dark Chocolate Moussssse (It’s the year of the snake, and snakes, hiss, and . . . maybe they all can’t be winners). A Dark Chocolate Day. Don’t be Afraid of the Dark. Dark Chocolate–Aphrodisiac or Bitter End? Famous Chocolate Marriages – Meet the Reese’s. South of the Border with Mexican Chocolate. How to Remove Chocolate Stains. They Called Me a “Dip.” Lose Ten Pounds on the Dark Chocolate Mousse Diet! Lifestyles of the Dark, Rich and Famous (Chocolate, That Is). Death By Chocolate–Thirty Ways To Do It. Deep Dark Beauty Secrets or How to Have Flawless Chocolate Coating. Mousse is Not a Hair Product. I LIke Vanilla: Confessions of a Chocolate Maven. Like I said, there’s the pressure. And if there wasn’t enough of it before, I’ve certainly magnified it a thousand-fold with these entertainingly bloggy chocolate thoughts, haven’t I? See what happens when you make what at first seems like a simple resolution? It is now a Quest. Surely I’ll be looking for a little help from my blogging friends and we’ll come out okay and probably coated in Delicious Dark Chocolate. I can just see the words “Chocolate” and “Mousse” looming larger and larger in my tag cloud! 2013 is looking very Dark Chocolate Moussey, I must say! This entry was posted in Chocolate, Cooking and tagged Chinese New Year, chocolate expert, Chocolate Kisses, dark chocolate mousse, humor, inspiration, Mousse, New year resolution, recipe contest by mycookinglifebypatty. Bookmark the permalink. That was fun, but now I am hungry for…chocolate! Thanks! Me too. Keep reading – I didn’t stop there! I am definitely interested in dark chocolate mousse… not sure how I can get to be a taste tester… is there an application? 🙂 Anyway, I love the blog and looking forward to more! Hmmm. Maybe we can arrange something! Thanks for commenting Kendra. I’m working on January’s mousse tonight. I am one to try chocolate mousse whereever I go, so I would love to be a taste tester!!! You are my dark chocolate mousse aficiondo! Thank you Kate! Yes, thoughts of dark chocolate mousse seem innocent enough! Amazingly the ideas keep rolling out . . .